I’m with the meat-eating camp who believe that fat meat=yummy meat. It’s not exactly the most health-conscious choice, but fattier cuts tend to be more flavourful, juicy and tender, which is why I always order ribeye steak and why Hong Kong-ers love chicken thighs so much. So although pork is rarely my first choice of meat, I was curious to learn about the Flodins “Omega-3 Pork” because it is extremely tasty and tender, yet has a healthier composition to regular pork, i.e. lower percentage of saturated fat, four times the Omega 3 of normal pork and the perfect ratio of Omega 6 to Omega 3. They say, you are what you eat, and no doubt the same would be true for pigs – this healthier composition is resultant of a special diet. This type of pork was innovated by leading Nordic meat expert, HKScan, after 5 years of research and after a very porky tasting menu, I’d agree it’s pretty revolutionary. The Flodins Omega 3 pork is available at FINDS – so far the only Nordic restaurant I’ve come across in Hong Kong. 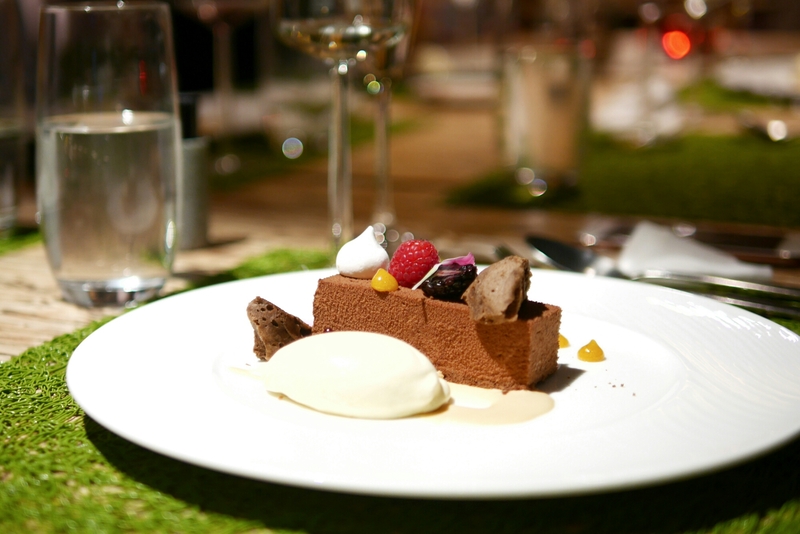 The pork ribs in sous vide was hands down my favourite dish – although desserts are a different matter (more on that below). The pork ribs were slow cooked at a low temperature of just 74c for 4 hours – I thought, no wonder the meat was so extremely tender! It was tasty, the interior had a super soft texture and it was juicy too. The exterior was cooked perfectly so it retained a nice contrasting crust. For those who don’t like any meat with “fattiness”, the smoked pork tenderloin would be perfect. 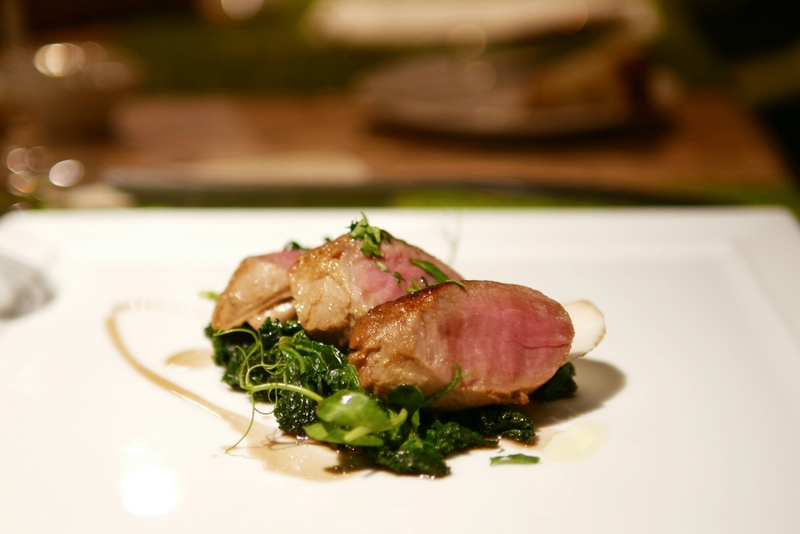 Although this dish wasn’t slow cooked, I was surprised at how tender the meat still was – this is meant to be another key characteristic of the Flodins Omega 3 Pork. The meat was lean, but also retained a lot of moisture. 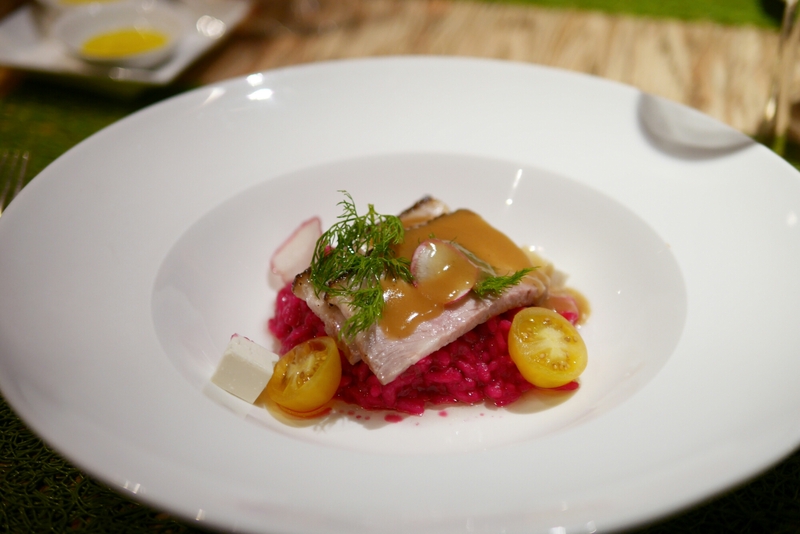 The roasted pork belly with beetroot risotto was another dish I loved here. The risotto was extremely refreshing and not too heavy, which means it was complemented well with the generous portion of pork belly on top. 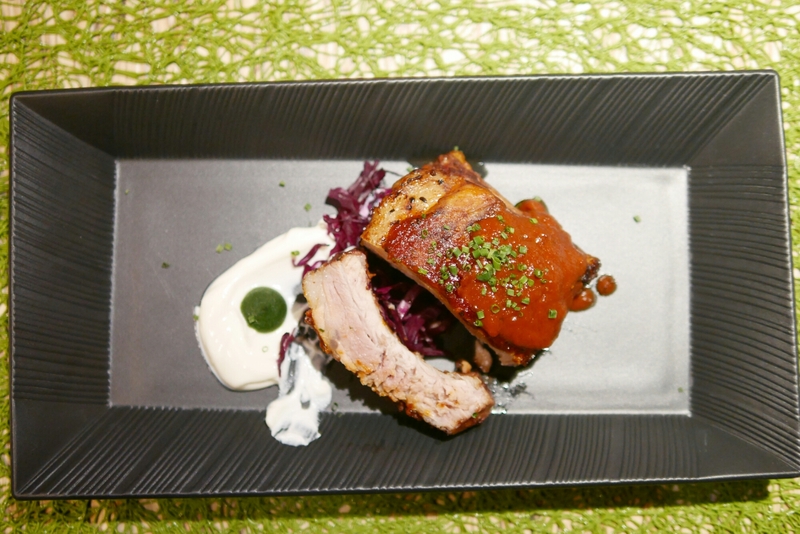 The pork belly was not super fatty, with just a thin strip of fat at the top… no wider than half a centimetre. I have never had a meal with so much pork in it, and after such a meat-intense meal, you’d expect to feel kind of gross. But the Flodins Omega 3 Pork was not at all heavy – I suppose thanks to the lower fat composition, which meant that I still had a good appetite for dessert. I wouldn’t know how they’d fit in the pork theme with the desserts – thankfully they didn’t try. This Danish Nougat Praline Mousse dessert served with toasted cream ice cream and berry sauce was absolutely unforgettable. Most of us were really full by now, but I still managed to scrape the plate clean of all traces, because it was just made so well! Even if you don’t come to try out the pork (there are many non-Pork items on their menu), be sure to save your stomach for the dessert!